A regal vintage location paired with creative themes and bright decor made Suhali and Harsh’s wedding a magical and memorable event! 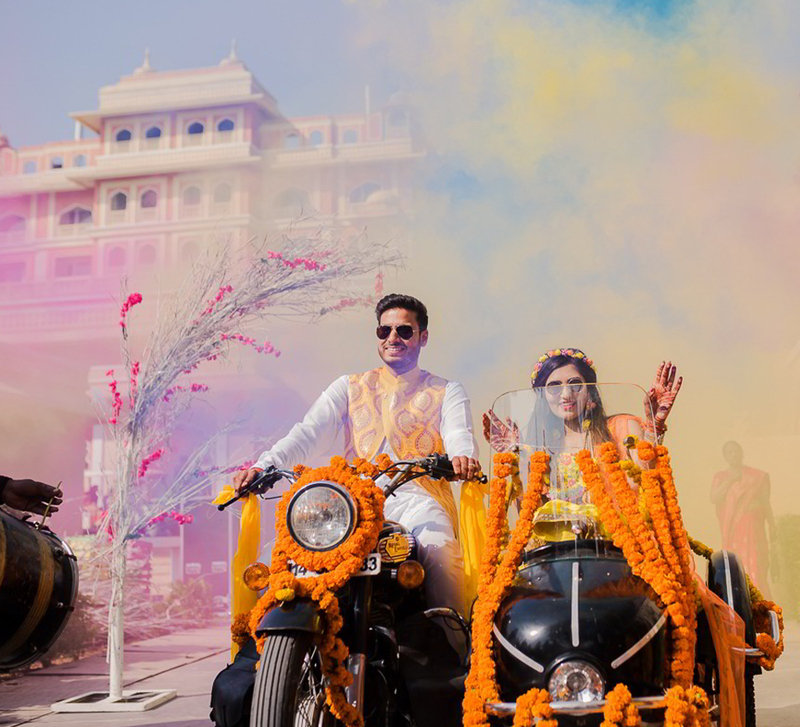 Suhali and Harsh chose Taj Jai Mahal Palace for their nuptials as it offered the perfect vintage vibe they were looking for. 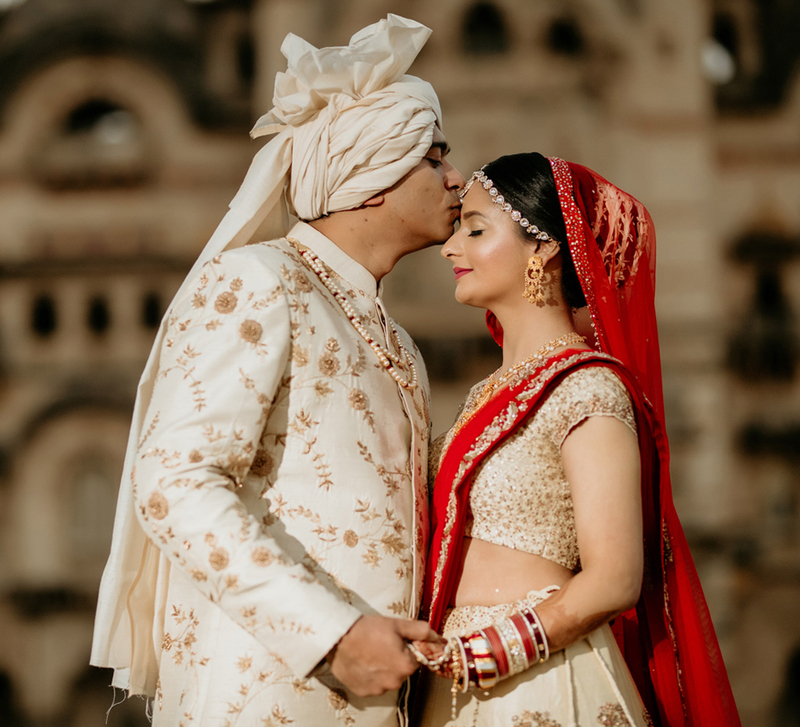 All the ceremonies from the opulent wedding were captured in distinct frames clicked by WeddingSutra Favorite - Happy Flashbacks. Suhali and Harsh’s ideas and ideologies crossed paths on a professional platform. Suhali designs exquisite jewelry while Harsh’s business involves dealing with herbal extracts. It was during a debate on a virtual platform that she stood out from the rest for him. A few conversations later, they connected on social media and from there began their love story. Suhali recalls, "One day, Harsh called me at 6 am just to tell me that he wanted to spend his life with me. I sacrificed my beauty sleep for him, but it was worth it. Just like a businessman, Harsh laid down his proposal in bullet points, which stated, 'Suhali, I like you / I love your parents and want them to be mine / I have the patience to handle your all-day drama / I think we should give each other a chance.” Suhali couldn’t help but accept the adorable proposal and instantly agreed to marry Harsh. The couple finalized Jaipur's Taj Jai Mahal Palace as they wanted a vintage space, and it matched their vision. The venue is a stunning structure in itself, and the wedding decor added to its grandeur. 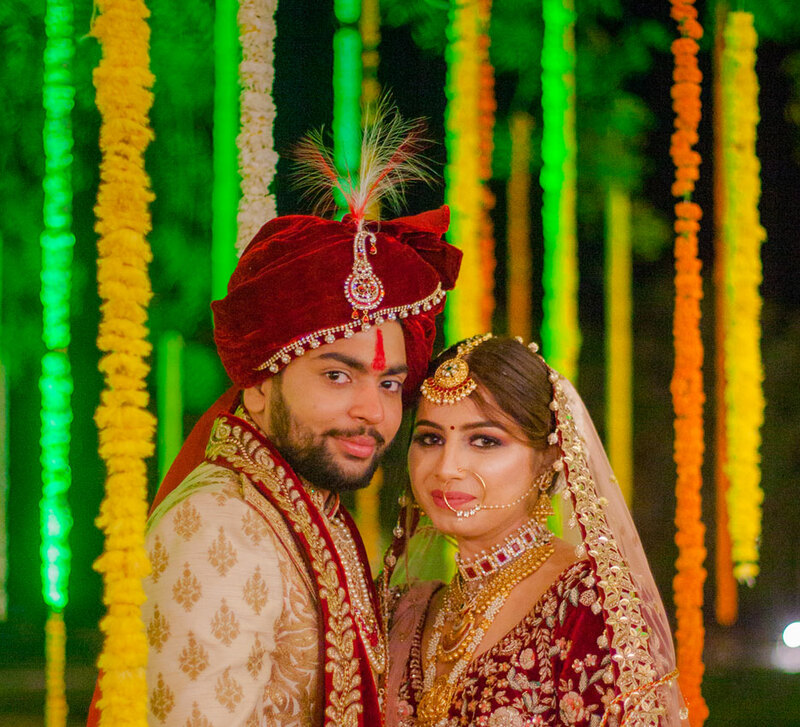 Suhali and Harsh ensured that all the details of the sangeet were aligned with their tastes. The sangeet had an 'Enchanted & Rustic' theme and offered a perfect setting in which guests could relax and bond with each other. Suhali wore a champagne colored gown while Harsh looked dashing in his black suit. They looked like the real-life version of a classic cake-top. They matched steps on multiple songs, and just like their hearts, their steps were in sync too. The haldi ceremony was styled like a colorful carnival which included vibrant splashes of color in the decor and the outfits of the guests. Harsh and Suhali wore color-coordinated outfits and were glowing as their family members doused them with turmeric. The wedding party was in high spirits as guests sang and danced throughout the ceremony. They even released balloons into the sunny blue sky which made for a picture-perfect moment. Their nuptials were elegant and classy, and the fun moments were captured by Happy Flashbacks. Harsh and Suhali both arrived on horses for the pheras. For the 'varmala' (garland) ceremony, the couple stood on a stage accentuated with flowers and surrounded by sparklers. 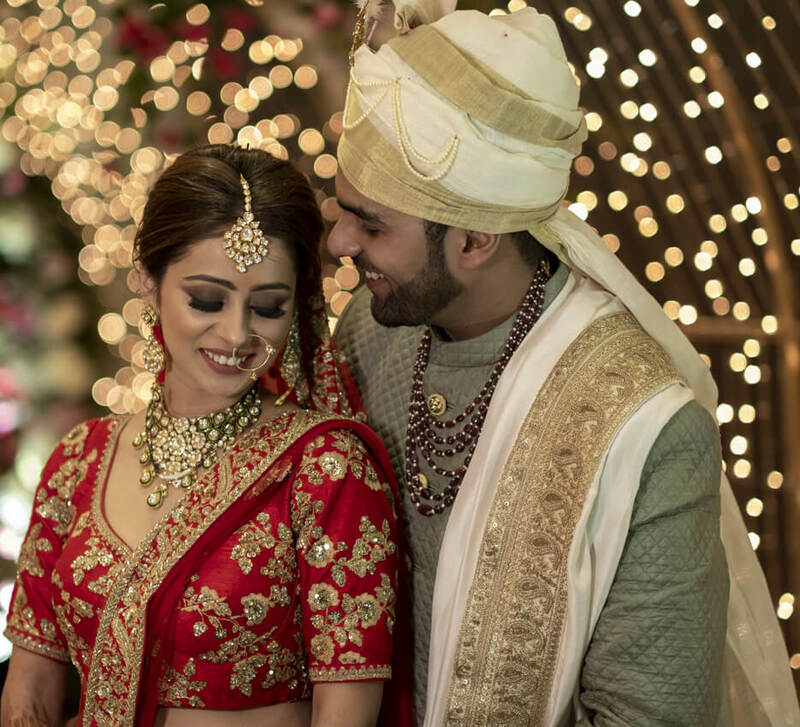 The bride’s entry was quite special as she walked down the aisle accompanied by an audio recording in her own voice in which Suhali shared her feelings about her life partner Harsh.